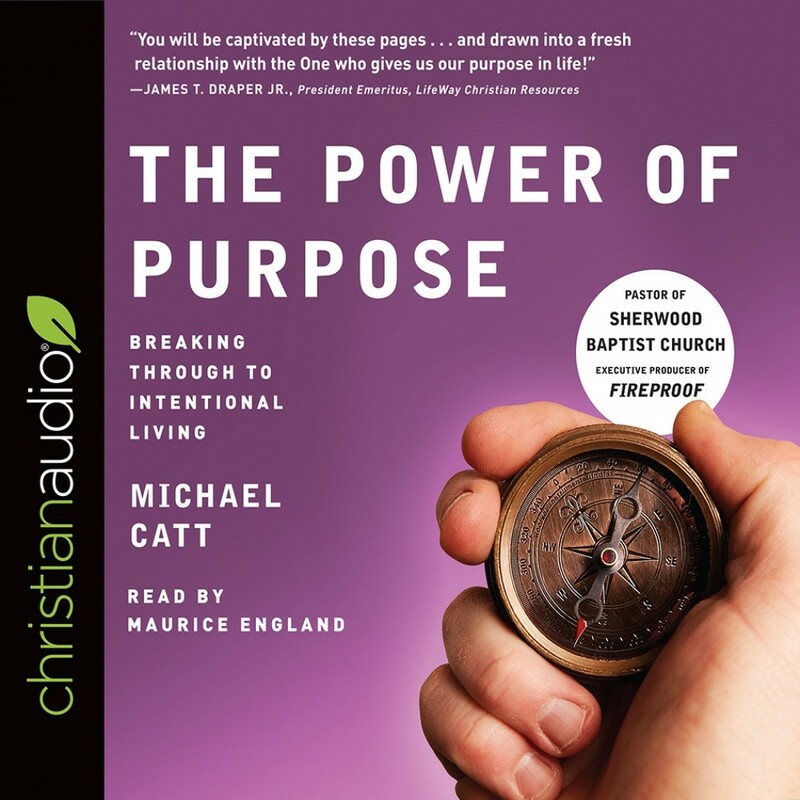 The Power of Purpose | Michael Catt | Audiobook Download - Christian audiobooks. Try us free. Why am I here? Why is the church here? Do we still have a place in the world? What is our purpose? In an age when formerly great churches struggle to survive, baptismal pools are dry and altars empty, and the church is aging, seemingly indifferent to the next generation, we are tempted to believe we have no purpose. We are tempted to give up on living the meaningful, countercultural lives to which Christ has called us, and to give in to a world that encourages us to go with the flow. How will we respond? In his letter to the Philippians, Paul gives advice that is invaluable to the twenty-first century church. The Philippians were assembled in the middle of a corrupt, sensual society, fighting against the norms of the world around them. They were God’s representatives in a secular society, and they maintained a singular focus, vision, and purpose. In The Power of Purpose, Pastor Michael Catt walks us through this letter to the Philippians, exploring how God is still calling His church, even in the rapidly changing world of the 21 st century, to be his representatives. He is calling us to maintain a singular focus and vision. He is calling us to the power of purpose.